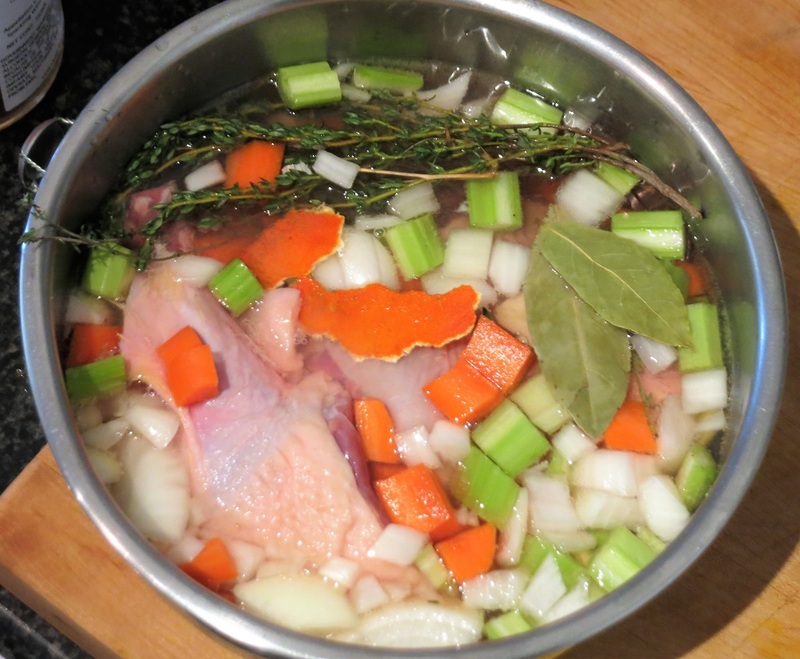 The carcasses and giblets are used to make a rich duck stock. 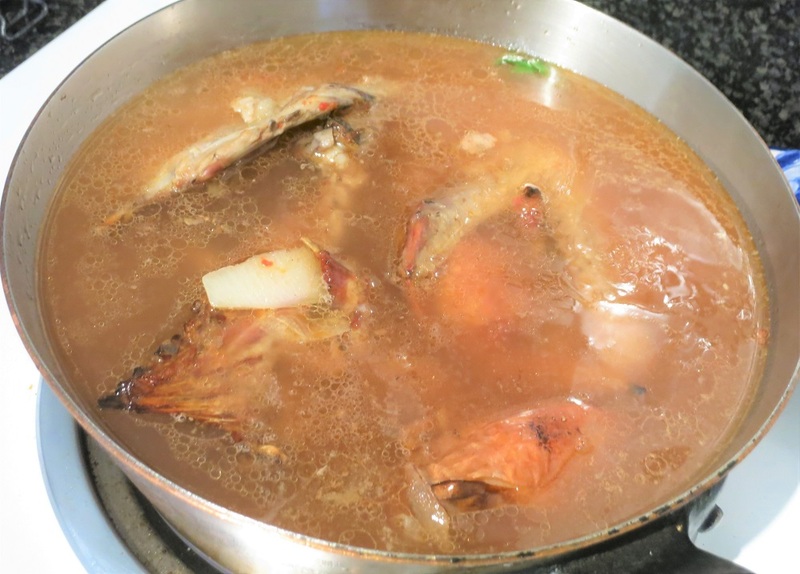 This stock, which will give depth and flavor to our duck stew, should be made the day ahead also if possible to allow for long slow cooking to get every bit of flavor from the carcasses. First step is to brown them in the oven. 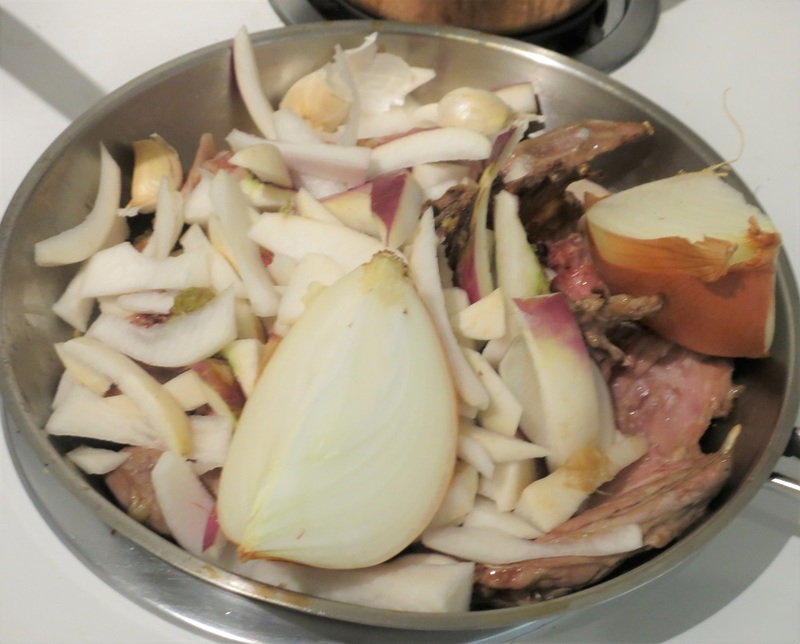 To the roasting pan, I add onions, garlic and trim left over from turning the turnips that will accompany the finished duck (more on that later). The mixture is drizzled with a little vegetable oil, tossed well and then roasted in a hot oven until very brown. Every part of a duck has some culinary use so I make sure to throw nothing away. While the duck carcasses are roasting, I render the fat from the duck skin. 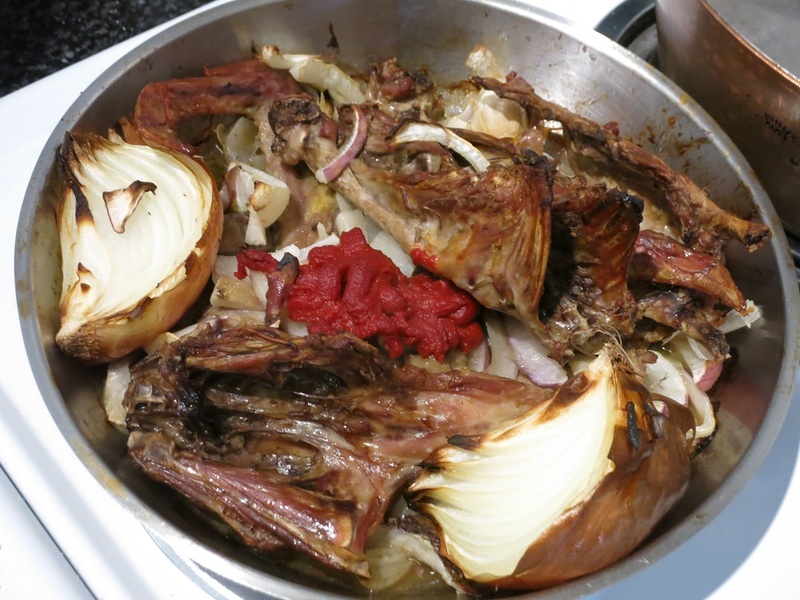 This is most easily accomplished by covering the skins with cold water, bringing to a boil, then cooking hard until all the water has evaporated. Starting with water, helps avoid scorching the fat, which gives it a bitter flavor. When all the fat has rendered and the remaining skin is crispy, I strain the fat and cool. Stored in the freezer, duck fat will last for months and can be used for sautéing, making confits and rillettes and much more. 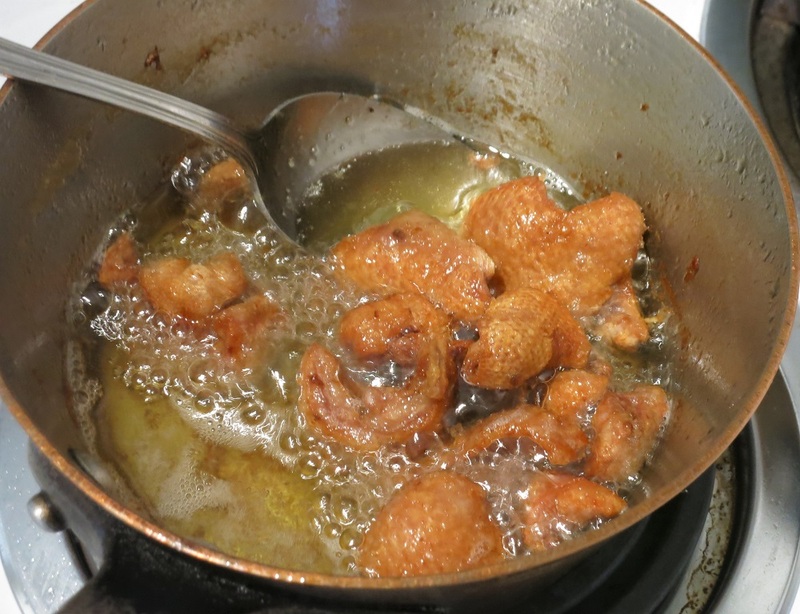 The crispy duck cracklin’s are a bonus left over from the process…I like them tossed with sea salt and Tabasco. By now, the bones are almost done roasting and golden brown. For the last 30 minutes of roasting, tomato paste is added to the roasting pan so that it can caramelize. 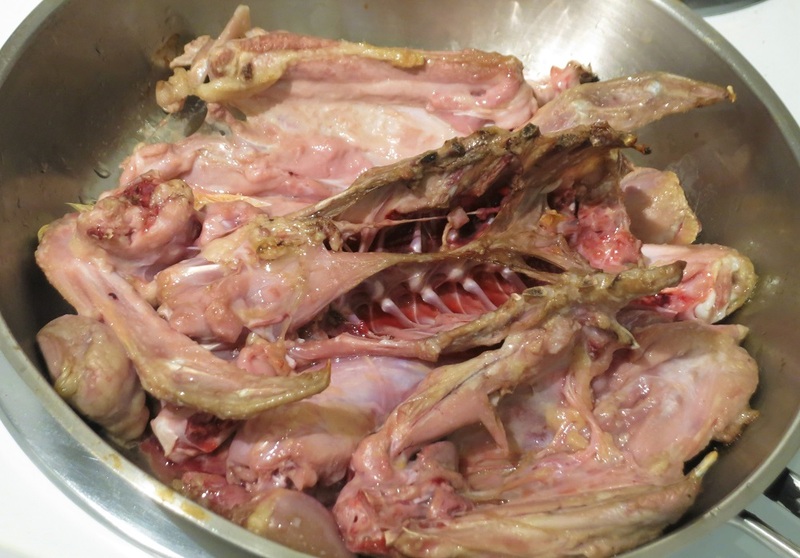 After the roasted bones are moved to a stock pot and the fat removed from the roasting pan, it is de-glazed with wine, vinegar or alcohol. Here I used red wine vinegar from our barrel at Le Pichet and also house made green walnut wine. Scraping up all the browned roasty bits will add flavor to the stock. This is added to the bones. 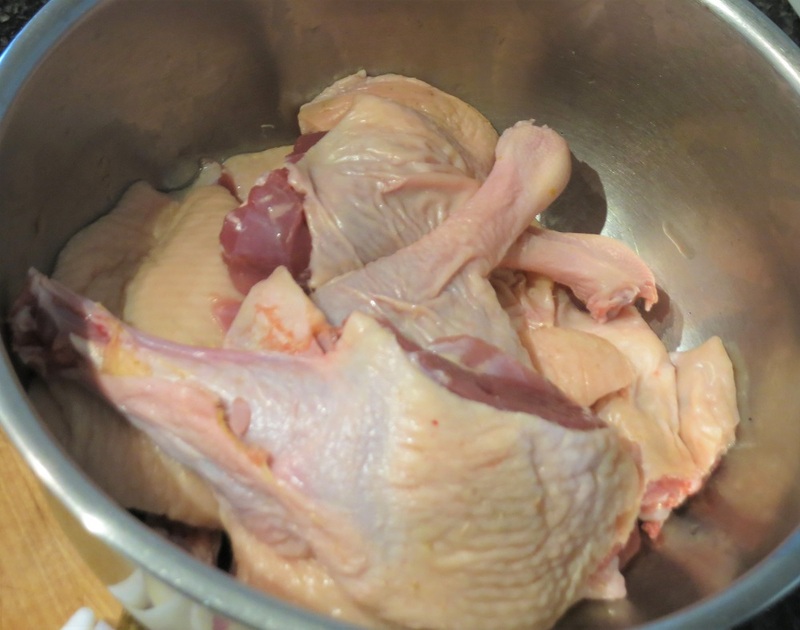 Water is added to the stockpot to just cover the bones, the whole is brought to a boil, skimmed well to remove any fat, then the heat is reduced to very low simmer and left cook at least 3 hours, overnight is better. 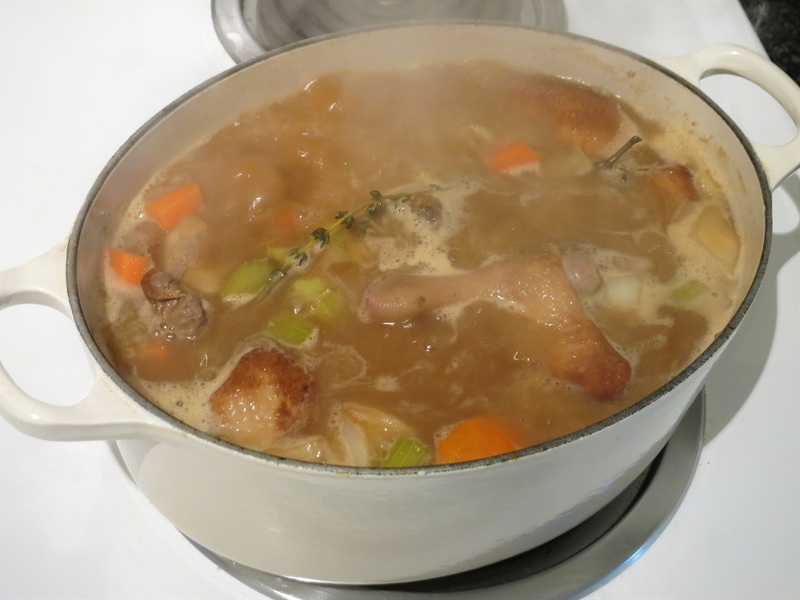 Next day, the stock is strained and the solids discarded. The stock is skimmed careful and cooled. There will likely be more stock than needed for the salmis; It makes great soups and sauces and can be frozen if not needed right away. Now it is finally time to start construction of the actual salmis. The pieces of duck breast and leg are drained, saving the wine and veggies from the marinade. The duck is then seared in a dutch oven until golden brown. I have a really big pan so can do it all in one batch but if using a smaller dutch oven, sear in batches so that they really get nice color. Next, the veggies from the marinade are sweated off in the same pan. 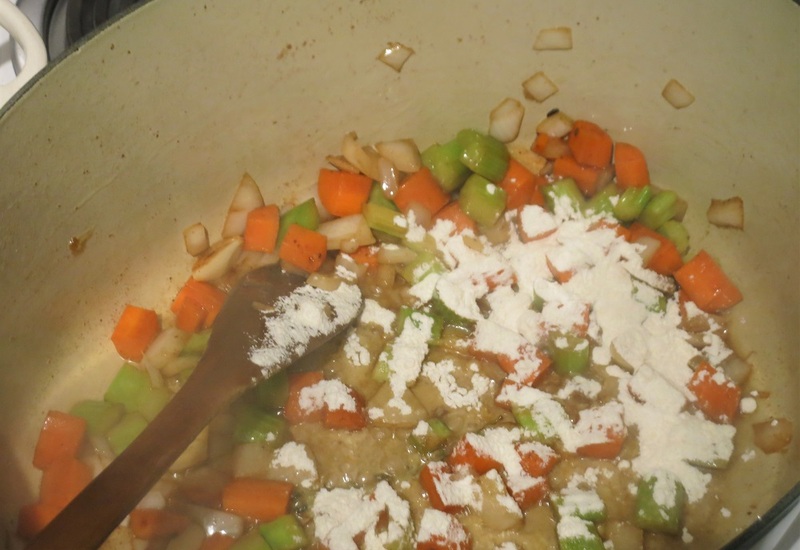 When they start to get tender, I add a little flour to give the finished salmis sauce body. 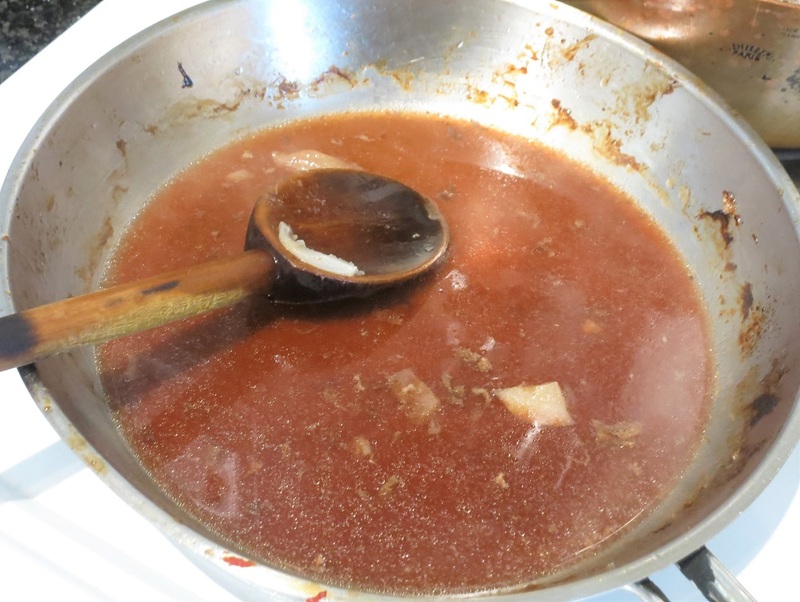 This is cooked like a roux until all the fat is incorporated, then the duck is returned to the pan, and the marinade wine and duck stock added to just cover. 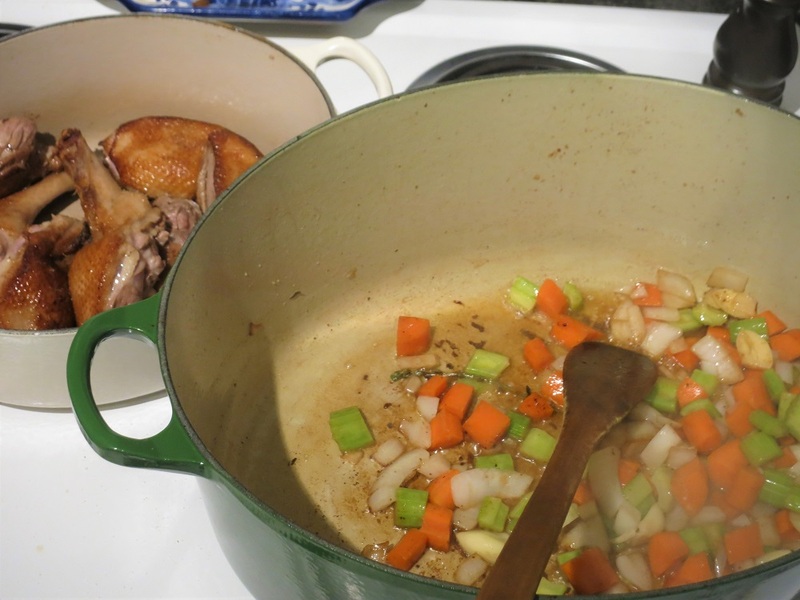 Once the liquid comes to a boil, it should be skimmed very well to remove any fat, then covered and cooked in a slow oven (say 275 degrees) until the duck is tender. 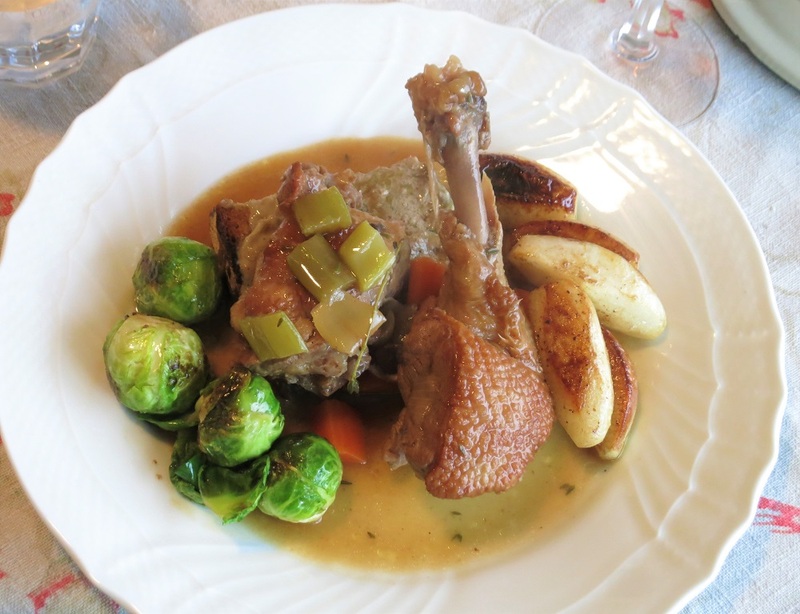 Depending on the size of the pieces and the age of the duck, figure about 45 minutes to 1 h 15 minutes. Now all that is left is to prepare the garnishes to go with the stew, which for me means it is time to open the bottle and have an apéro. Although it is not always possible, serving the dish with the same wine used to prepare it nearly guarantees a happy rapport between dish and wine. 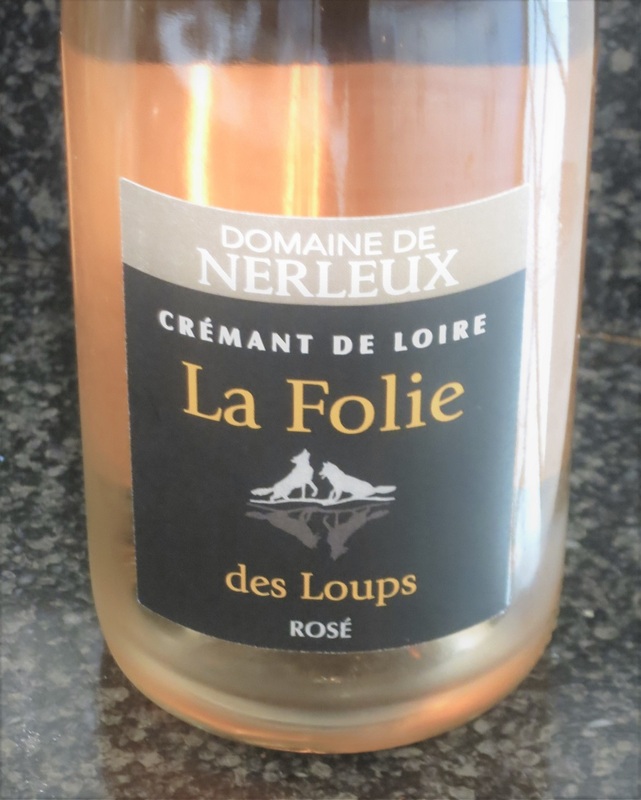 But lets be realistic, if you are planning to serve a treasured old bottle, no one is going to suggest that you pour half the bottle into the salmis (well, maybe our friend Escoffier). 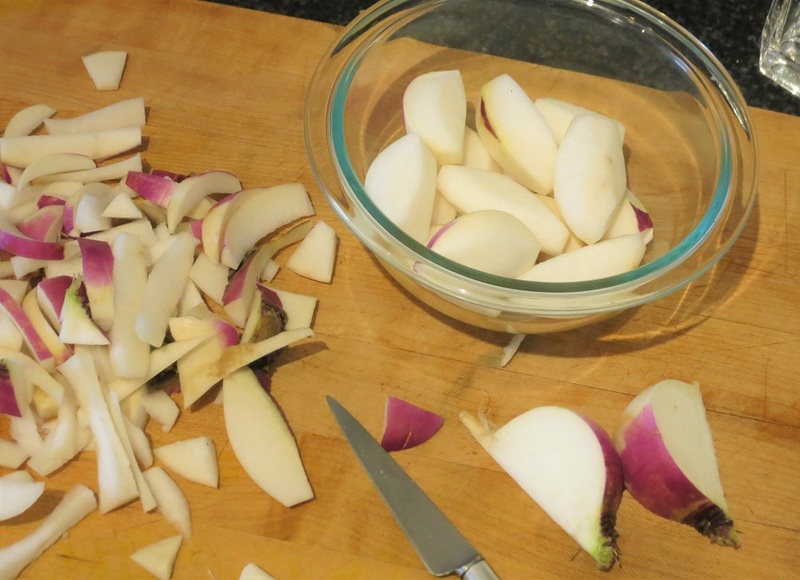 Turnips are a classic accompaniment to duck and navets glacés a brun (turned turnips, sautéed with a pinch of sugar, salt, pepper and butter) is the classic way to cook them. Note that a glass of sparkling wine while turning vegetables should only be attempted by seasoned professionals. Here is the finished dish, with the duck served on grilled country bread spread with duck liver mousse, accompanied by the turnips, Brussels sprouts and the rich salmis sauce. This entry was posted in Cafe Presse, Recipes and tagged Cafe Presse, Duck, Quarterly Chef's Dinners, Special Events, Wine. Bookmark the permalink.